Through a combination of minimally invasive surgical techniques, regional anesthesia, and a state of the art facility, the patients are able to get out of bed and participate with physical therapy hours after their surgeries and recover in their own homes. A joint is a specific point in the body where the ends of two separate bones meet one another. The body has different types of joints, including hinge joints (knees) and ball-and-socket joints (shoulders/hips). Over time, these joints can wear down due to arthritis, lack of cartilage, a fracture, or other conditions. When people begin having pain and discomfort in these areas, they may want to consider a total joint replacement if a previously prescribed exercise regimen or physical therapy does not seem to alleviate their pain. Total joint replacement is designed to remove arthritic and damaged joints from the body and replace them with a prosthesis made of plastic, metal, or ceramic. This prosthesis is designed to replace your original joint and function in the same mobile manner of a normal, healthy joint. Total joint surgeries performed at Texas Health Surgery Center Cleburne include knee and shoulder replacements, but the procedure can also be performed on hips, elbows, wrists, and ankles. Prior to having surgery for a total joint replacement, it is important to discuss your general health with your primary care physician, and complete any pre-operation tests required by your surgeon. This could include a cardiogram or blood tests to help your physicians plan for your surgery. The American Academy of Orthopaedic Surgeons has a step-by-step guide to preparing from your operation: Preparing for Joint Replacement Surgery. The actual procedure itself will take just a few hours and is now commonly being performed in outpatient settings, rather than a hospital. During the procedure, the damaged areas of your bone are removed from the joint and replaced with that prosthetic device mentioned above. The new prosthetic joint is designed to mimic movement just like you had before with your healthy joint. Recovery time varies from person to person, but most often, doctors will encourage you to use your “new joint” very shortly after the surgery. Temporary incisional pain will be experienced do to the surrounding muscles being weak from non-use and tissues repairing after the surgery. 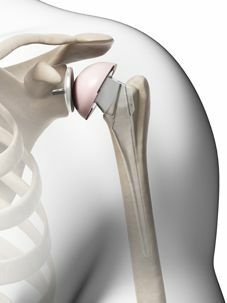 The pain should dissipate within a few months as the body adjust to the new joint. Exercise is a necessary and key component of the recovery process to allow you to restore movement properly and strengthen the new joint. Physical Therapists can also help with this process if recommended by your doctor. Joint replacements should last many years and improve your quality of life by allowing you to do activities pain-free that would have otherwise been impossible. Why choose Texas Health Surgery Center Cleburne? 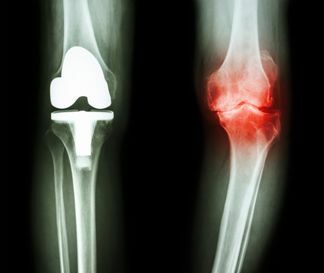 Over the last few years, there has been an increasing trend in outpatient total joint replacements. The health care intelligence and consulting agency, Sg2, predicts that in the next 10 years, there will be a 77% growth in outpatient joint replacements. One reason for this could be that, for Medicare patients, the cost of a total joint replacement in an outpatient facility is roughly half of the expense of an in-hospital surgery. Similarly, physicians and patients alike are able to avoid excess healthcare costs by having this type of procedure done outpatient. Another reason outpatient is becoming more beneficial to patients and doctors, is the reduced risk of infection. There is less chance of disease transmission or infection in an outpatient facility than inside a hospital, where multiple illnesses occur simultaneously. By having total joint replacements conducted outside of the hospital setting, doctors have better control of patient care methods before and after the procedures because they follow the patient through the entire process themselves. No general hospitalists or other physicians are involved, like they would be at a traditional hospital. Here at Texas Health Surgery Center Cleburne, we want you to have the best experience possible, which is why we now offer total joint procedures on an outpatient basis. This allows your procedure to be conducted smoothly, cost-effectively, and efficiently without having to go through the long approval processes and charges of a typical hospital. Our doctors and nurses are by your side from start to finish, and your recovery time is likely to be quicker due to the decreased risk of infection. Our facility has the capability to do a 23-hour observation if a patient’s recovery requires it. The addition of two newly-designed suites allows the capability of luxuriously accommodating patients overnight, if needed. We are delighted to serve our patients with the highest level of care possible. Our goal is to exceed your expectations and provide you with the best care, attention, and treatment during your time as a patient in our facility. Please don’t hesitate to reach out to any members of our team to help answer any questions you may have as you prepare for your total joint replacement. We want you to feel comfortable and confident that you are in the best place you can be for your procedure!